The firm of William Cadenhead Ltd, Wine and Spirit Merchants, was founded in 1842 and is Scotland's oldest independent bottler. The company was in the ownership of the same family until taken over by J & A Mitchell & Co.Ltd in 1972, the proprietors of Springbank distillery. Captain Morgan Extra Light is a (obviously) clear Rum, bottled at 38% ABV in the 1990’s. Captain Morgan Gold Label is a dark rum, produced in Jamaica in the late 1980’s. Caroni 1996, matured in Trinidad for 20 years, bottled 100°proof as one of 3800. Caroni 1996, matured in Trinidad for a full 20 years, bottled at a rather stunning 70,1% in 2016. 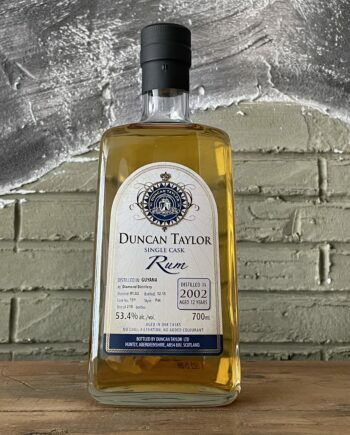 This rum comes from a stock of 11 casks which produced a total of 3.033 bottles. Caroni 1997/17 years Creative Whisky Co.
Caroni 1997, 17 years old, bottled in 2014 for the Creative Whisky Company. This Rhum Courville was produced by La Thibault on the French Isle of Martinique somewhere in the 1970’s. Cruzan Clipper Rum is a premium blend of carefully selected older rums, aged a minimum of 2 years in charred selected oak casks. Single Cask Rum from the infamous Diamond Distilley, distilled January 2002 and bottled December 2015. Limited to 210 bottles. This Long Pond Single Cask Rum was distilled June 2000 and bottled from oak cask no. #65 on February 2016. Limited to 249 bottles this seems a rather excellent rum, judged on the reviews we have seen online.